That first issue was more of an online newsletter than a journal; it reported on several events of interest to the readership (the 37th International Medieval Congress at Western Michigan University, the International Medieval Conference at the University of Leeds, and the College Art Association conference, among others), included a single book review, and listed 4 websites of potential interest. In contrast, the Spring 2014 issue includes several feature articles (“A Precious Ancient Souvenir Given to the First Pilgrim to Santiago de Compostela,” “Santiago’s Sinister Hand: Hybrid Identity in the Statue of Saint James the Greater at Santa Marta de Tera,” “A Framework for Devotion in Trecento Siena: a Reliquary Frame in the Cleveland Museum of Art,” and the “Research Query: Templar Bowl?”), an in-depth book review, a six-page listing of “Good Stuff for Medievalists: Digital Humanities Collections on the Internet,” a research report: “Making More: the Medieval Electronic Scholarly Alliance as a Platform for Collaborative Work with Medieval Manuscripts Online,” and a list of recent archaeological Discoveries, including an underwater Byzantine basilica, the Viking Age Revninge woman, a medieval Christian crypt found in Sudan, the Llanllyr Nunnery found in Wales, and others. But the journal’s Welcome page offers much more, including an impressive Photo-Bank of copyright-free images of medieval art and architecture; a linked list of organizations of potential interest to medievalists; and a list of related web links about various subjects, including Medieval Art, Manuscripts, Saints & Pilgrimage, Medieval Studies, Art History, and Fun Links (this last section is likely to inspire future medievalists-in-the-making, with links to Make your own heraldry; Free medieval web graphics; Copyright-free images of engravings scanned from old books; and the Medieval Woodcuts Clipart Collection). The latest issue is representative of what Peregrinations has evolved into: a combination of scholarly articles [it’s indexed in EBSCO’s Art & Architecture Complete, Art & Architecture Index, Art Source, Current Abstracts, TOC Premier (Table of Contents), and ProQuest’s International Bibliography of Art] with related news and events and pieces designed to excite the interest of anyone interested in the history of Christianity, the arts and history of the arts, philosophy, psychology, religion, and archaeology. 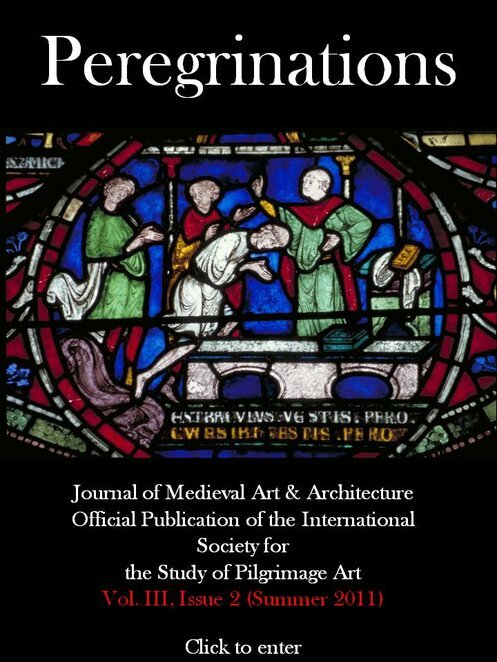 Although the site can be a bit cumbersome to navigate (the online architecture needs updating), it is overall a delightful collection of academic articles, gorgeous images of medieval art and architecture, and newsy bits that medievalists – and other historical enthusiasts -- are sure to find useful.